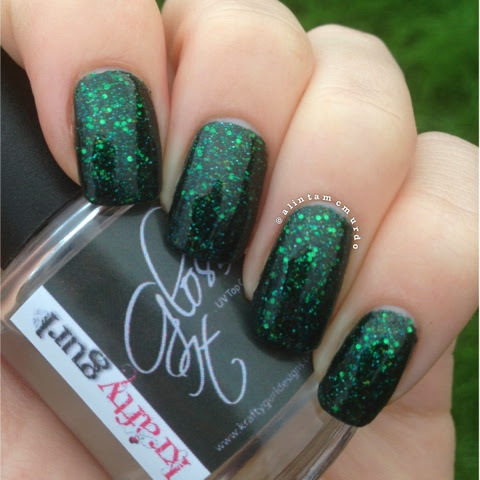 The lovely Jacinta from Powder Perfect sent me a new polish to swatch and review. It is no secret that I love Powder Perfect polishes, especially the micro glitters. So I was so excited to do this. 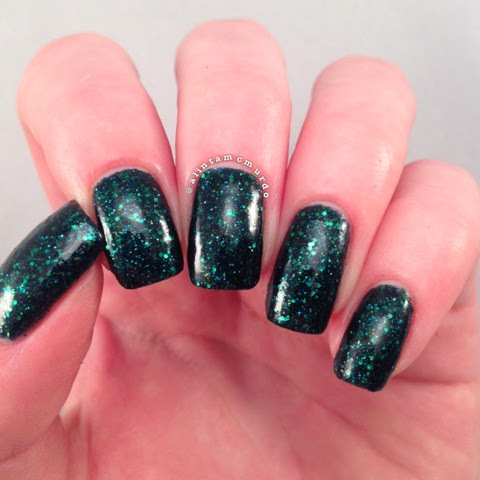 Her new polish is called ‘Obsession’ and is green micro glitter with what seems to be a dark tinted base. I’m terrible at explaining polishes so I will just show you the pictures. 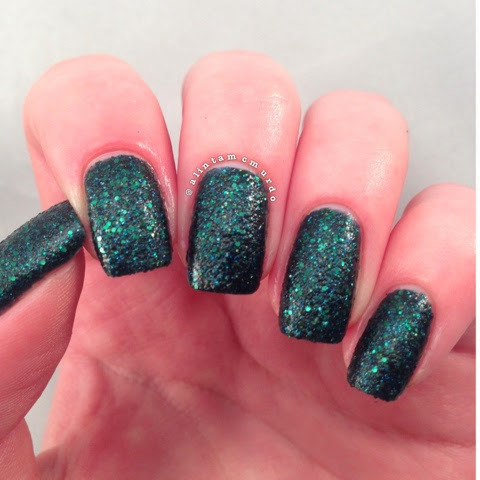 As with all her micro-glitters, you can leave Obsession without topcoat to get a lightly textured effect. 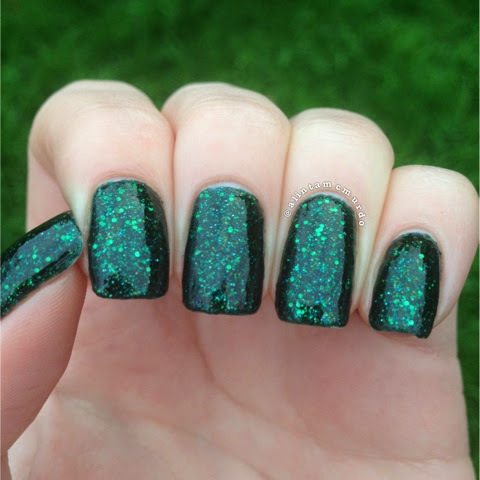 It is pretty this way but I prefer this with topcoat because it goes to a whole other level. 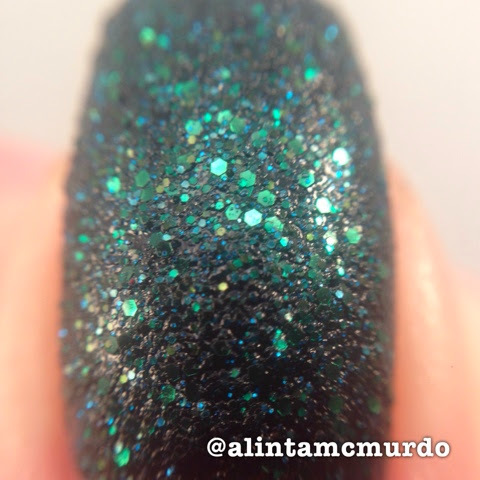 The polish is thick but that’s what you need in a micro-glitter so that it doesn’t flood the cuticles. Application is easy but make sure to let each layer dry before doing the next. I used two coats of Obsession and two coats of Krafty Gurl Gloss It top coat, also from Jacinta’s shop. Gloss It is quick drying top coat with a glass-like appearance and easy application. I will try it over some other polish types and then post a review. 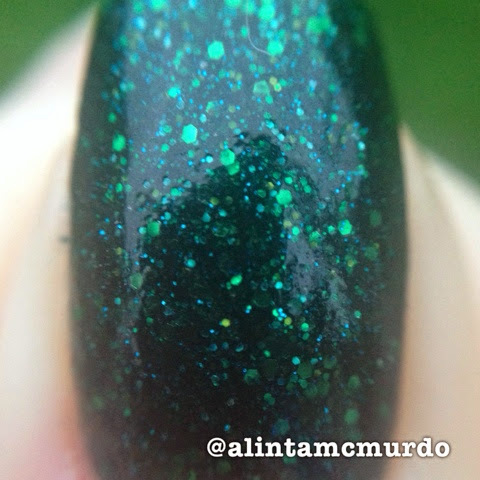 I ended up taking a lot of photos (over 100) because I couldn’t capture the true beauty of this polish. You will have to get your own to see how gorgeous and sparkly it is. Obsession will be released on the 10th of June as a part of the Mel•an•cho•li•a Collection. 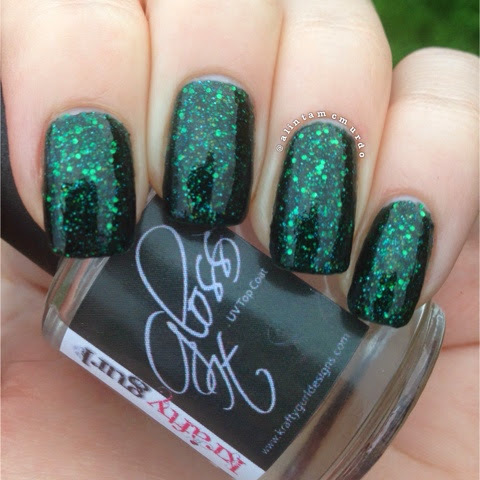 If this polish is anything to go by, then the collection will be amazing. Plumb the depths of human emotion with our new Mel•an•cho•li•a Collection. Melancholia aims to capture the darker side of the human experience; the battles that rage silently within ourselves. This collection features 6 polishes in total- 3 glitter based polishes, and 3 different types of holographic polish. With each shade representing a different facet of the human struggle, the polishes vary wildly in vibrancy and finish. This in an effort to capture the emotions that we rarely talk about. Taboo subjects of despair, grief and obsession. What a beautiful polish Alinta! 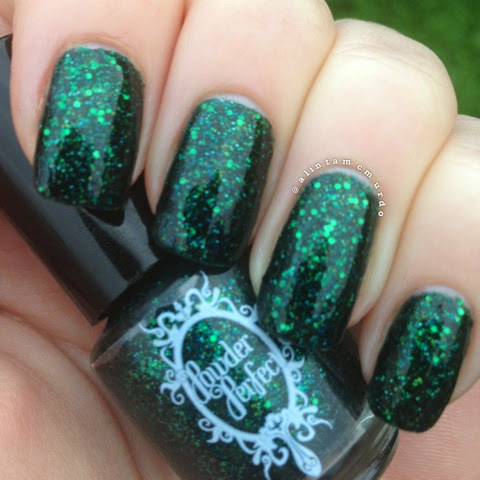 I have been impressed by Powder Perfect's microglitters too, and this one's definitely going on my wishlist!